For a direct-to-DVD Disney movie about adorable golden retrievers forming a dog sled team in Alaska and making a young boy’s dreams come true, 2008’s Snow Buddies has an almost impossibly tragic backstory. Andrew Gruttadaro tells the sad tale behind the film’s making in a disheartening piece written for Complex. 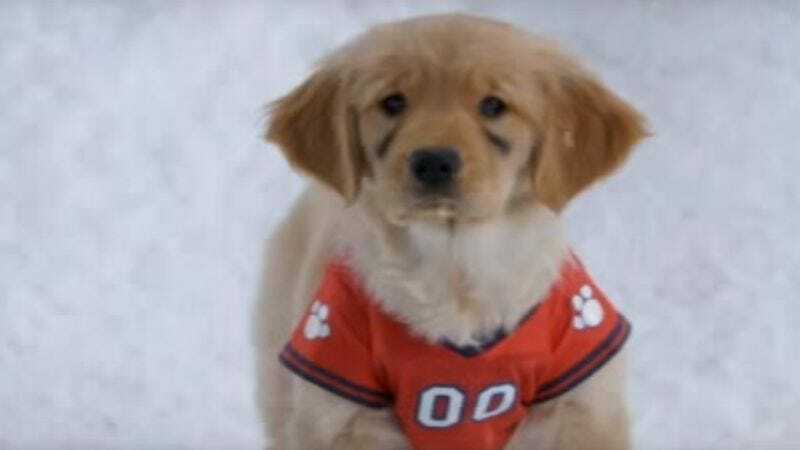 A warning in advance to pet lovers: This article contains the term “puppy-killing virus.” The production of Snow Buddies should have been routine; this was, after all, the seventh film in the incredibly durable Air Bud series, making it only about the midway point in that franchise. But the lighthearted sequel was filmed in February in Vancouver, British Columbia during an outbreak of “highly contagious” parvovirus. In the end, at least five puppies associated with the production were dead, and PETA alleged that as many as “40 or 50” could have been made sick. The animal rights organization begged Disney not to release Snow Buddies, but the company did not comply. Gruttadaro draws an interesting comparison between Snow Buddies and HBO’s doomed horse racing drama Luck, which abruptly shut down production after the deaths of three horses that were used on the show. “The show had been accused of using horses that were elderly and injured, and allegedly sometimes even drugged,” he writes. Was the same kind of negligence at play on Snow Buddies? Some of the blame may fall on breeder Alex Schock, who allegedly falsified documents and sold underage puppies to the production. But Schock claims ignorance and instead places the responsibility on a production company called Keystone for mishandling the animals. No matter who’s at fault, it’s damning for everyone involved with Snow Buddies to learn that the movie did not even get the standard “no animals were harmed” blessing from the American Humane Association. The credits merely indicate that the AHA “monitored” the production. The entire, extremely depressing article can be found here.